Every year or so, someone like Leonardo DiCaprio will be seen riding around New York City on a Citi Bike, showing off some unkempt facial hair, or Tom Selleck will emerge to remind us that he will boast a sheriff mustache until the day he dies (and probably beyond). 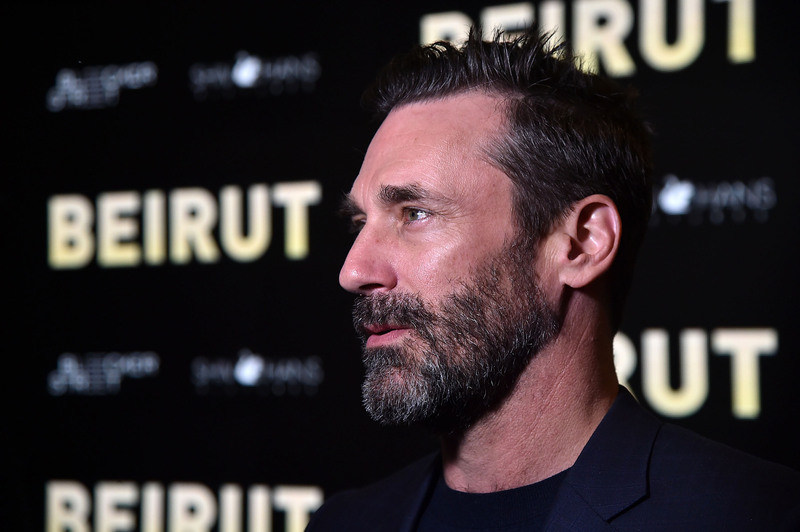 Sure, we’re no strangers to celebrity facial hair, but this year, a trend is emerging and we are here for it — especially because Jon Hamm is participating. The temperamental weather these last few months has certainly kept us cold and on our toes, but emerging through the snow is the glorious trend in which all our internet boyfriends have grown full beards. While Donald Glover and Oscar Isaac are longtime noted fans of a nice, full beard, it seems others are finally getting on board. For the better part of the last year, John Krasinski has been boasting his A Quiet Place beard, putting it on full display during the film’s press tour. Chris Pine proved that even he can make the “I’ve grown a beard during my time as a space hostage” beard work in A Wrinkle in Time. And we’d be remiss if we didn’t point out Chadwick Boseman’s regal beard in Black Panther. While noted beard enthusiast Chris Evans has shed his beard in favor of a truly tragic mustache for Lobby Hero, we’ll see the return of the beard in Avengers: Infinity War. 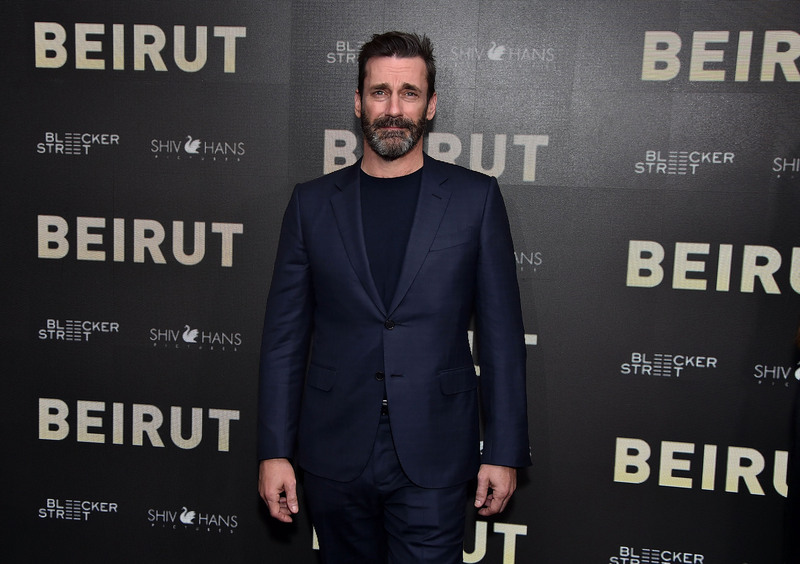 But Jon Hamm, an occasional subscriber to beards, turned up at a screening of his new film Beirut with a beard so elegant, it’s clear that this trend is here to stay. 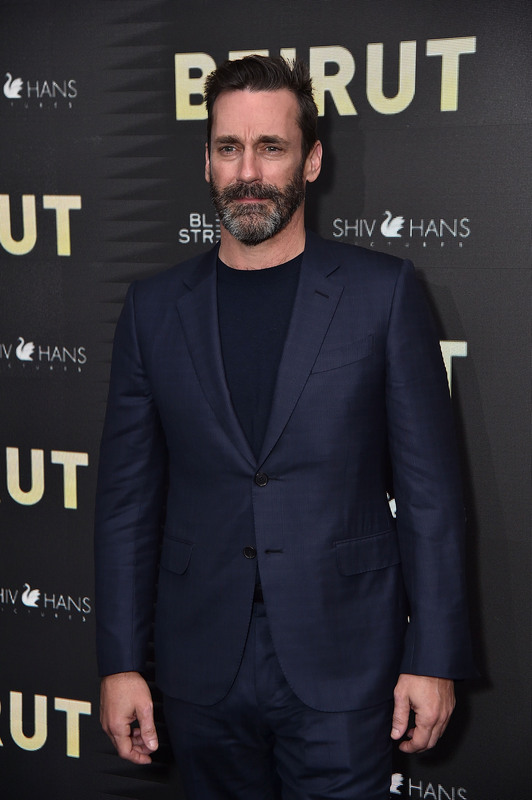 What Hamm lacks in overall preparedness for this photo being taken, he more than makes up for with his beard game. Is that Oscar Isaac as Llewyn Davis from the commercially underrated indie Inside Llewyn Davis? Nope! Just another (not-so-starving) artist with a glorious beard. If there’s one thing Jon Hamm is proving to be true, it’s that you’re always camera ready when you’re rocking a killer beard. 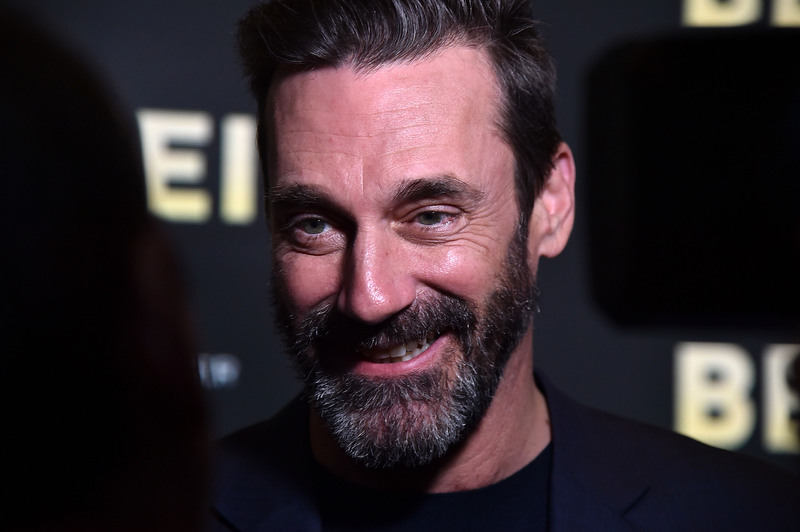 So step aside goatees and soul patches, because Jon Hamm is here to tell us that the beard is BACK.